Filter Services We are one of the leading manufacturers/traders of industrial Textiles/ Filter cloth, etc.since 1988. We are regularly supplying filter cloth and made up bags/panels etc. to various industries. Our product range includes Nylon, Polyester, Polypropylene, Cotton etc. filter cloth. We are reputed suppliers to Indian Industries as pioneers for more than Two decades and our consistency of quality is well known to the end users. Our scope of supply includes made up items such as Centrifuge bags, Nutche bags, F.B.D.bags, Dust collection bags, Butterfly panels, Filter press panels, vaccum filters, etc. We have got a very efficient tailoring establishment for fabrication of different items duly. we deal in all types of industrial filter bags for wet filtration like Centrifuge bags, nutche bags, filter press cloth panels and sheets, fbd bags, sparkle pads, balloon bags, filter bags, etc. 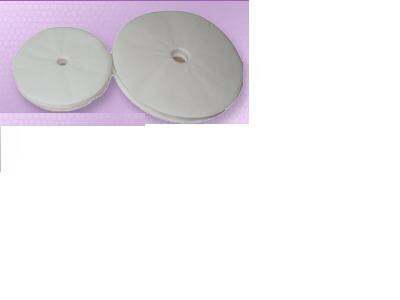 we cater to all types of industrial filter bags required by industries for we filtration some of our products are Centrifuge bags/ filter press cloth/ nutche bags/ balloon bags/ FBD bags/ sparkle filter pads/ etc.